After a nice holiday break, the greenhouse is once again open on weekdays from 11am – 6pm, except Fridays when we close at 4pm. Come visit us, have some tea, chill out in the Tea Atrium with some homework, music or a good book and let the warm green environment and sunshine warm you up! Upcoming Special Events in January! Daniel Brisebois, co-author of “Crop Planning for Organic Vegetable Growers” will be offering this 3 class course on crop planting. The Atrium Events Team goes Thematic! Wednesday, January 23rd at 3:30h. There is a vision for the atrium events team for this semester: events and activities around springtime wild edibles! This upcoming spring we hope to hit up our local sources of delicious and nutritious wild foods that found in and around Montreal, so events will center around harvesting, processing and Eating such delights. If this interests you we’re having our first meeting Wednesday, January 17th at 4pm to start planning for all of this greatness. Please contact Stefanie at concordiagreenhouseatrium@gmail.com if your interest has been peaked, and especially if you cannot make the meeting. All plants are specially selected for indoor growing. Volunteer with us this winter! We have a few projects currently underway, and we can always use an extra hand! For each of our projects we hold regular work sessions. Volunteers are encouraged to come to the work sessions and help out. Whether you’ve got years of experience under your belt or are simply curious and want to try getting your hands dirty, everyone is welcome. Local Food. 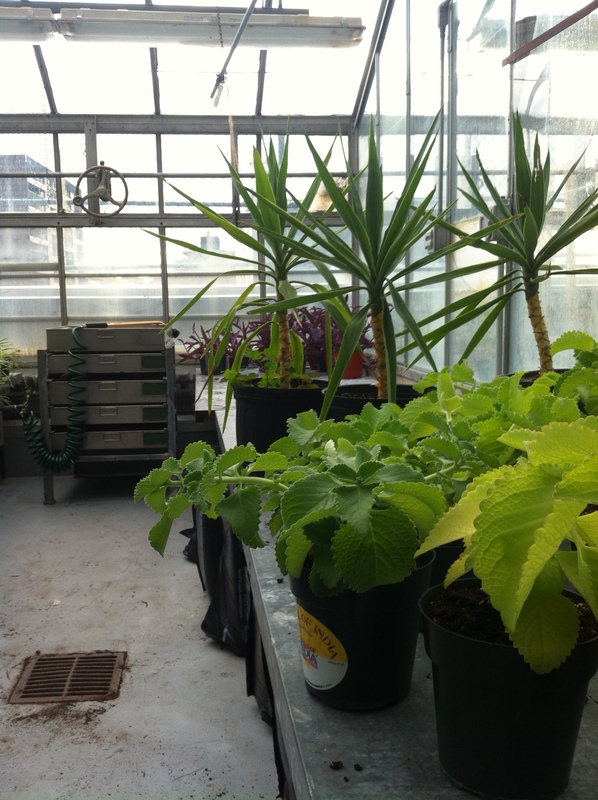 Growing greens and micro-greens year round for the Concordia Community.